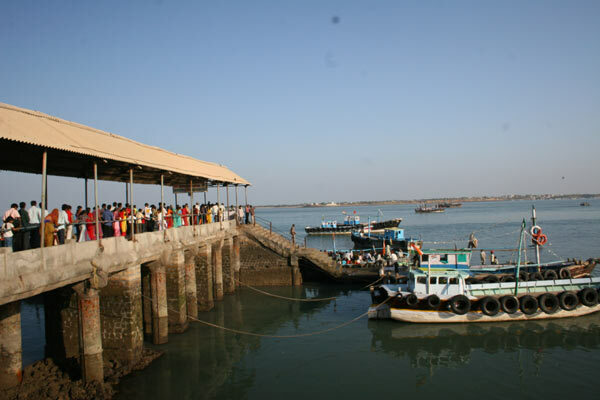 Beyt Dwarka often called Beyt Shankhodhar is an islet that lies at the tip of ‘Gulf of Kutch’ in Gujarat and can be accessed by ferry or boat from the Okha coast, situated 5km away. The island extends about 13km from Southeast to Northwest and 4km from east to west. The island is dotted with numerous temples and shrines belonging to different faiths. ‘Beyt’ in ‘Hindi’ and ‘Gujarati’ mean ‘rendezvous’ and ‘island’ respectively. Before you step onto the ferry that takes you back to the jetty at Okha don’t forget to pick up conch shells, handcrafts made by local craftsmen, and Gujarati textiles. Beyt Dwarka is regarded as the primary abode of Lord Krishna where he is alleged to have got a palatial residence built for himself and his family by Lord Vishwakarma from land reclaimed from the sea. As per the holy Hindu epics of ‘Skanda Purana’ and ‘Mahabharata’, Beyt Dwarka lied within the primeval city of Dwarka-hometown of Lord Krishna. The island is replete with conch shells and hence the epithet ‘Shankhodhar’ got stuck as an alternative name of the atoll. Following the creation of Gujarat by branching off Bombay state, Jamnagar district of which Beyt Dwarka was a part fell under the state. 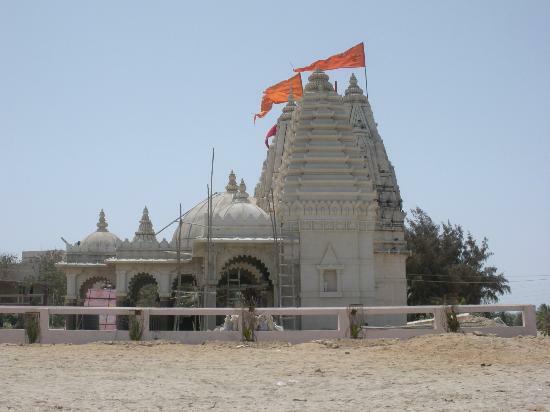 Dwarka became a separate district in 2013 after which the town was rechristened as ‘Devbhoomi Dwarka’. Beyt Dwarka continues to be amongst the holiest of pilgrimage sites for Hindus, particularly for the Vaishnavites as the main shrine of Chaitanya Mahaprabhu, founder of Vaishnavism is located here. To get to Beyt Dwarka, you’ll have to reach Dwarka first which is approximately 40 kms away from the island. The closest airport is at Jamnagar about 137 km from Dwarka. Starting from July till March, the weather remains fairly pleasant and sunny making this period the ideal time to plan an itinerary to Beyt Dwarka.